Something for the weekend to keep the kids quiet! To celebrate Children’s Book Week, www.itsyourstory.co.uk are giving away a free personalised e-story book to every child who creates one on their website. Each e-story book incorporates the child’s name, face and information about them into the story line – making them the star of the story! 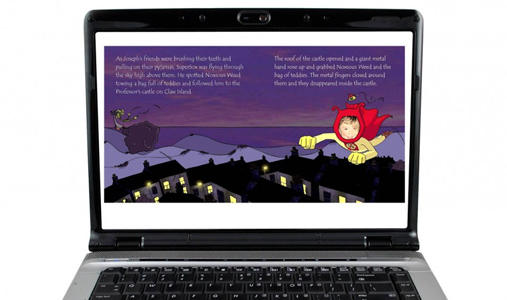 Creating your personalised e-story book is simple – just upload a digital photo and the child’s name and basic details into their website and www.itsyourstory.co.uk will do the rest. To make a free e-story visit www.itsyourstory.co.uk/categories/22-e-stories by Sunday 13th October at midnight and use the code ESTORY at the checkout.